CiteSeerx (originally called CiteSeer) is a public search engine and digital library for scientific and academic papers, primarily in the fields of computer and information science. Many consider it to be the first academic paper search engine and the first automated citation indexing system. 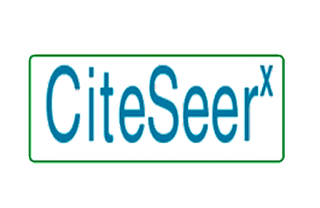 CiteSeer holds a United States patent # 6289342, titled "Autonomous citation indexing and literature browsing using citation context," granted on September 11, 2001. Stephen R. Lawrence, C. Lee Giles, Kurt D. Bollacker are the inventors of this patent assigned to NEC Laboratories America, Inc. This patent was filed on May 20, 1998, which has its roots (Priority) to January 05, 1998. A continuation patent was also granted to the same inventors and also assigned to NEC Labs on this invention i.e. US Patent # 6738780 granted on May 18, 2004 and was filed on May 16, 2001. CiteSeer is considered as a predecessor of academic search tools such as Google Scholar and Microsoft Academic Search. CiteSeer-like engines and archives usually only harvest documents from publicly available websites and do not crawl publisher websites. For this reason, authors whose documents are freely available are more likely to be represented in the index.